Clean up time! 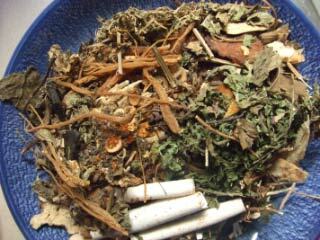 Its almost Mabon (Autumn in the North Hemisphere) and so, time to go pick your tonic tea for strength. It's been one heck of a month. Hard to believe that just four weeks ago, America was on fire about the Total Solar Eclipse in Leo...and now, Texas, Florida, and St. Louis are all cleaning up from protests and big winds. The west saw record fires, and Mexico a record quake. All of this extreme 'weather' within the week of the eclipse. It's only just begun, this 'changing' that I wrote about last month. Now.... the real work begins. We will have plenty of help, because we got- a whole lotta VIRGO going on! Virgo loves to improve its lot and yours too. There is no such standard as "too perfect" for the Virgo. So get your gloves, mask, and work clothes on. Even if you do not live in a weather torn zone, you can still organize the dresser drawer, closet, garage, the thoughts in your head. We start a new cycle with a Virgo New Moon on the 19th of Sept, @ 28 degrees Virgo. The Sun and Moon are joined with Mercury, Venus and Mars also in the earth sign. Details matter. Make your lists! Refine the heck out of it. So PERFECT its all going to be!~ right? RIGHT and Write. Go over the house with a fine tooth comb and decide what needs to go to the needy stores, friends, and or anyone who will make use of, what you no longer are making use of. Start the short stories project. The needlepoint project. The fix the whatever is broken project. That might also include your digestive tract. Excellent starting place is building up your own body. Get a plan (Virgo loves plans) and do not waiver on the start date= NOW. Saturn (taskmaster) is in a square to this Virgo stellium (cluster of stars) so you will hear the voices that say: You can wait, you need to read up on this first... but I say: dare you tally, as the energy will pass in a flash, and you'll miss a great chance at SELF IMPROVEMENT! Where in your birth chart this group of helpers falls- that the place to pay extra attention to. Virgo: YOU! Start with your own body. Take care to notice all the tiny details that you have been ignoring. Such as skin not as tight as it could be, too much time spent worrying giving you worry lines? Then you need to spend some time with humor. Read it, Watch it. Make it! Redo your self image by giving in to compassion for yourself, even as you get a new plan going on how you present yourself. Libra: Retreat to the area of spiritual study and behind the scenes for a b12 shot of improvement. Sign up for a series of new meditation skills. Clean out your closets. Rescue an animal, there are plenty in Florida and Texas that need a home. Start on that writing project you have been yakking about doing for ages. Scorpio: Head to the gym to meet new friends ! Do goat Yoga (its popular now). Decide what cause you feel is the most important, to the most people, and join up to help make change a reality. Lead a workshop on a specialized area that you work in. Of course you'll have to be a master yourself, and if you aren't yet, find one to work with. Take that weekender course on whatever area you are weak in. Sagittarius: Get a new mission in life. Be extra nice to your boss, and put in just a few more hours, to show how you really do get the job done, and that's why you deserve a promotion. Pitch your latest achievement. Stick your neck out just a bit further and act like you already have the promotion by your confidence in self. List all the reasons why (and of course back them up with your portfolio). Hang with the Dad a bit more this month. Capricorn: Step on to the nearest college/community campus and spend some time in their library. Do some side learning about the faith you believe in. Get out and play some sport that requires good eye/ hand coordination. Write a short article on any place you've traveled in the last year and submit it to a magazine. Or research where you'd LIKE to go! Aquarius: Investigate your options on how you can invest in yourself. Sometimes this means you invest in you- by not just planning your long term money goals, but how much intimacy you allow in your life. Sharing on a deep level with others is very restoring to the soul! You can also look into getting support from others for your ideas and dreams by asking for what you need. Do not be afraid to receive help. Pisces: Partnerships are zipping with energy this month. You can make many great contacts and get the word 'out there' really with much ease. A few social events will go very far into creating the 'buzz' about what you are doing. Its a reach out time. Submit your work to just about every place you can imagine- no doubt some good feedback will return. Lots of contracts can be signed this month- just watch that you pay attention to the DETAILS. Aries: There is not even a second to think right now, but you must! Your day to day will be humming like there is never a down moment- so be sure to take care of the body! Juice and lots of greens! As a matter of fact, this is the time to pay extra attention to your diet, and rest habits. Get that body massage that you've earned ten times over! Taurus: Love and all the finer details are on the agenda this month. You just might meet that 'special someone' (s) at the play, diner, and or bike path this month. Get out there and mingle with the health nuts! If you are in the creative arts (or even if you aren't) take a ceramics class, or any class that allows you to work with earth, smell the roses, and or woodworking. Gemini: Home base is where the greatest changes can take place- by making space! Instead of doing spring cleaning- do "get rid of- fall cleaning". Paint the house! Or just a room. Or if that is too much- do a new boarder. Start a writers group in your home. Or any kind of gathering focused on 'making our voices heard"... send postcards to the White house and serve finger food while doing it. Cancer: The community, brothers and sisters and the car- all are areas that you can 'clean up' around. Be it, having a conversation with siblings, or the community. Buy a journal-write out your ideas. Make a plan on how to improve your communication skills. Juggle. Create something with your hands. Take a sign language class. Leo: In what little ways can you value your life more? Spend time reviewing and then taking actions that reflect how you love and what you wish to spend time on. Look at where your time goes, what you spend on with your money. Do not be mindless about it- clean up habits of spending energy where it isn't really important to YOU. Check in with your heart before you speak. If you aren't happy in the job you are at- this would be a great time to start an employment search. New openings await your effort! On the 19th Venus is going to trigger the Total Solar Eclipse point -! Yes, we are still in that... that energy is going to be with us a while-the energy of change and new doors opening. But you have to take advantage of the Venus crossing this point- by deciding what makes your life WHOLE? What makes you feel LOVE from within- and the urge to give it? This would be a time to explore love at the center of your heart. So, go have some fun this week. The world has really been way way way crazy drama in the last four weeks- let's use the Venus at the last degree of Leo moment to find the love. Seek love in all its forms. Bask in it as much as you can. By the end of the day on the 19th Venus will move into Virgo. And she'll be in that line up with all the other Virgo energy- and perfectionism will take over..... "all is perfect in its imperfectness" would be a good mantra. Otherwise, you just might feel a bit too nick picky, never satisfied, frustration energy. There is an entire art form in the Asian culture in making "the mistake" or "broken" part of something its 'treasure'..... the broken part is what makes it special. There will be a chance for many a broken thing - when Jupiter opposes Uranus on the 27th. Also known as - The mega earthquake aspect. The following day- Pluto stations direct. Moving and Shaking is going to happen for sure- in the boardroom, bedroom, and on Mother Earth. Treaties will be broken, and a lot of surprise break ups...but its not a "bad" aspect- its making room for something else to enter the life. Just do not drive while mad. And make sure your friends are privy to that secret you told, staying one. This month is all about the paper trail. It will be long and detailed. Remember to pick up after yourself!